(born in 1964) – Slovak prose writer, author of novels and short stories. 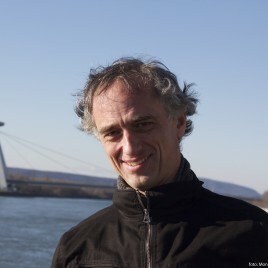 Graduated from the Comenius University in Bratislava, where he currently works as a professor. He made his debut in 1995 with a collection of short stories S odstupom času (Polish release: Z perspektywy czasu). In 2001 and 2004, he published subsequent volumes of short stories, the anthology of which was released in Poland in 2011 under the title Bratysława jest mała. In 2008, he debuted as a novelist with the book Zdarzyło się pierwszego września (albo kiedy indziej) (released in Polish in 2013), for which he received the Angelus Award (and the Nataiia Gorbaniewska Readers’ Award presented during the same competition). In 2011, he published another one of his books, Matki (released in Poland in 2015). In 2009, he received the European Literary Award and a number of prestigious Slovak awards (including the SME Readers’ Prize and the Tatra Bank Foundation Prize). An adaptation of his first novel was staged by the Slovak National Theatre.